The PAS high tonnage, pneumatic, precision, true closed-loop heatstaking machines are designed for production runs of medium to large sized parts. The HT series of pneumatic machines are offered in a wide range of sizes and tonnages to accommodate the part size and tonnage required for your specific process. 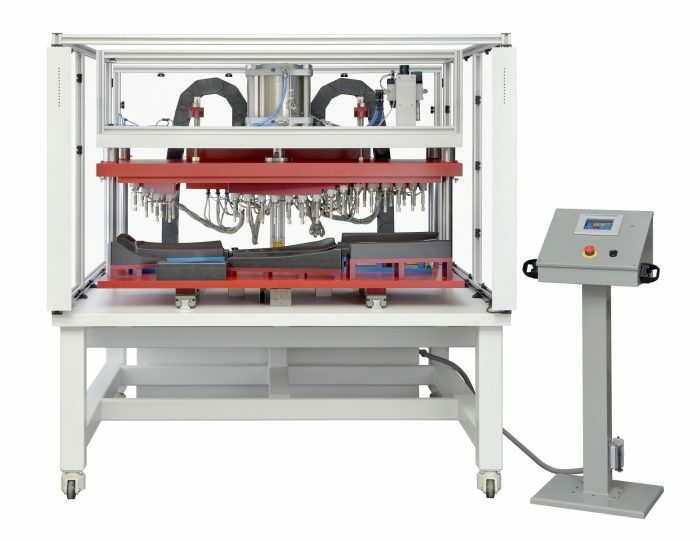 Heatstaking and insertion makes use of direct contact heated tools and precisely controlled time, temperature, pressure and cooling, to reform plastic studs, walls, and protrusions, or to embed metal components into plastic. This offers the ability to perform multiple operations on several planes simultaneously. Cycle times are relatively fast, and productivity can be increased through the assembly of multiple products. Cosmetics are so exceptional that heatstaking appears to be an extension of the molding process.